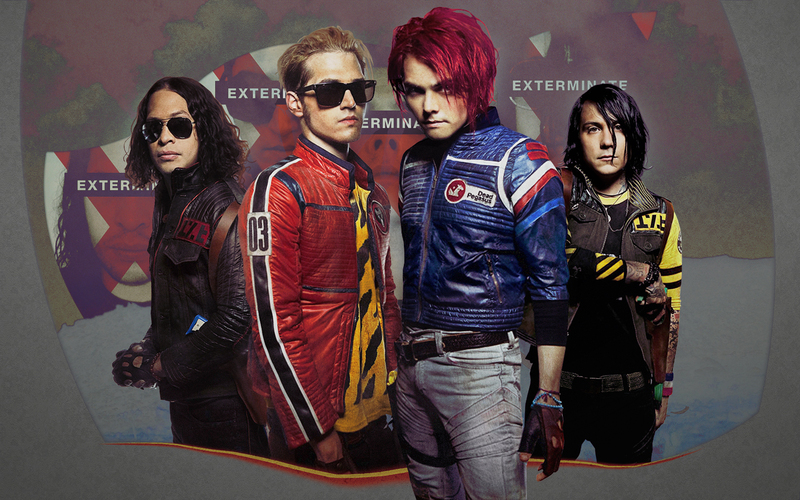 KILLJOYS. . HD Wallpaper and background images in the माइ केमिकल रोमैन्स club tagged: my chemical romance. This माइ केमिकल रोमैन्स wallpaper contains धूप का चश्मा, काला चश्मा, रंगों, काले चश्मा, and रंग. There might also be हस्ताक्षर, पोस्टर, पाठ, चॉकबोर्ड, साइन, and साइन इन करें. I Flippin' Love The Killjoys!! !